Since last patch It happens quite often to be killed by an invisible enemy, as you can see in this video. 1st one i couldn't see him either. Explanation is I think he was in the gas/smoke and you weren't and he could see you and you couldn't see him. 2nd one you just never looked left. and then you turned right and he shot you in the back. 3rd one you looked into that pitch black ravine/natural alley of Argonne and saw nothing because it's pitch black while he could see you because you're in the open in the daytime. I don't care for these very heavy outdoors shadow areas that are pitch black in the daytime. I'm sure this is worse the worse your monitor is. Also pro tip: crank your brightness on maps that appear overly dark. You can see better. 4th one i couldn't see him either. 5th one is just how the cav work and how the game works up close in melee combat. IT always feels/looks like the enemy is farther away than they are actually are. AT least that's always my feeling. When I play Cav i have a slice a guy before it looks like I have to on the screen. That's what you see in your 5th death. It's consistently this way tho. 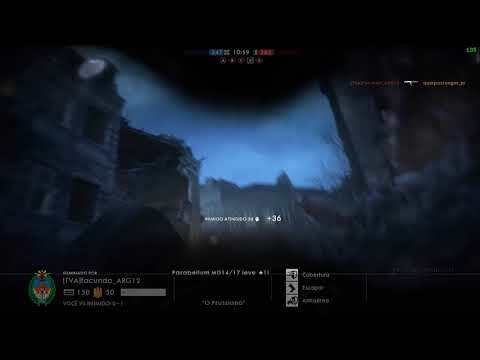 Apart from the 5th death, all the other ones had invisible enemies, one can clearly notice that there is no shots being heard, only the damage intake sounds. Then the enemy magically appears and the death camera stutters the moment that the enemy pops-up at the scren. At the second death you can realize this easily if you watch with attention and at 60fps. He never looked left on the 2nd death so you can't say he was invisible. I didn't listen for sound. I did slow down the video to .25 speed. don't get me wrong tho I share the same feeling of invisible enemies even if I tried to explain why it appears that way. 2) You have configured your router to Port Forward to the Battlefield address. 4) Your PC is directly connected into the router, and not using wireless. it's not a connection issue, it defo is some kind of a sync issue though & it REAAAAAAAAAAAAAAAAAAAAAALLLY grinds my gears. 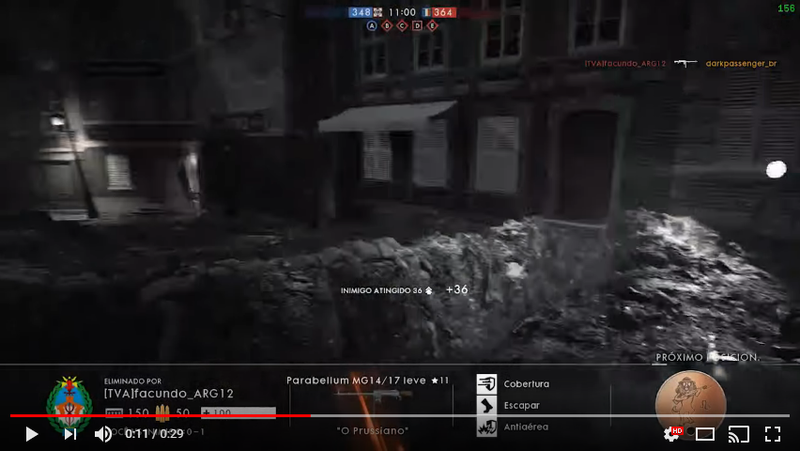 I understand your points, but if you really watch at 0.25 speed you can see that there is no enemy at the screen and then suddenly it pops out (see the image below). So it was invisible. Also, it appears that It came from my upright and then went to the left. Good catch, but that split second image is after you died. You were never looking that direction while alive. could be the way the transfer over to the killcam works. Your view of your killer is always a second or two after the fact. Yes, I didn’t look left, but that does not change the fact that the player was invisible even to the kill cam. I have experienced this too. I think it has to do with the latency between you and your opponent. You are not given data at the correct time. But that isn't the same as it being invisible in actual play. That's all I'm saying. There's that weird delay in the killcam until it shows you your killer. It could have something to do with that. Never experienced a bug that the player gets invisible after killing you, seems very unlikely considering the other simillar examples on the video. I've had 2 incidents with invisible players and one with an entire L-Class Destroyer doing it's best Philadelphia experiment impersonation. Certainly happening more frequently recently. Best feeling when people shoot you from the front 4 meters ahead of you and you don't see them until you die for the death cam to show you. Wow, I really hope it doesn't work that way. That is an EA Terms Of Service violation. I recommend reading the EA Terms Of Service upon your return as suspensions will only continue to increase moving forward.